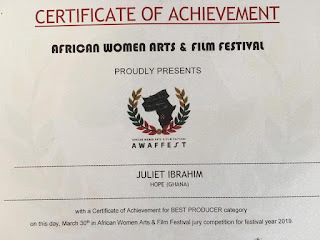 "It’s an honor to be awarded with a plaque and a certificate of achievement for my Film HOPE in the BEST PRODUCER category on the 30th of March 2019 in Tanzania. I’m proud to have produced and directed such a masterpiece. . 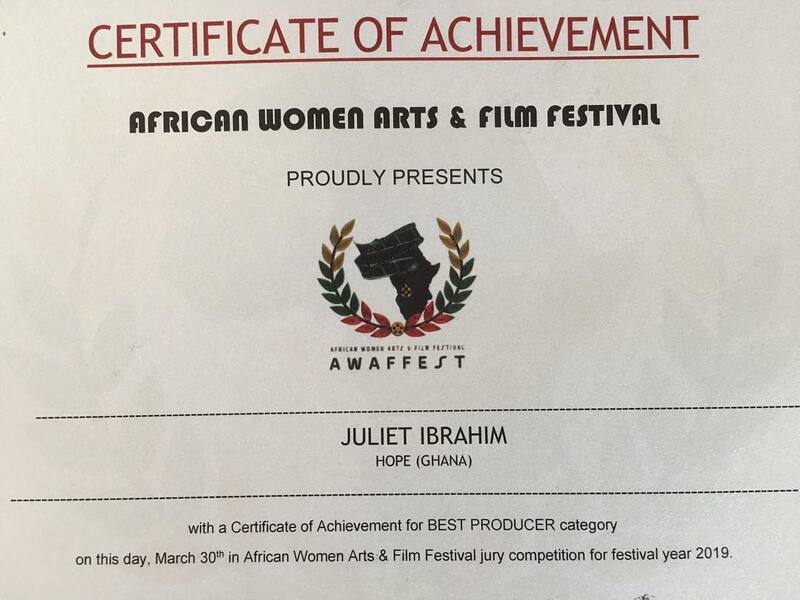 Thanks to everyone of my team members, the cast and the crew of @jewelzproductions who made this project a success. 🤗🤗🤗🤗"